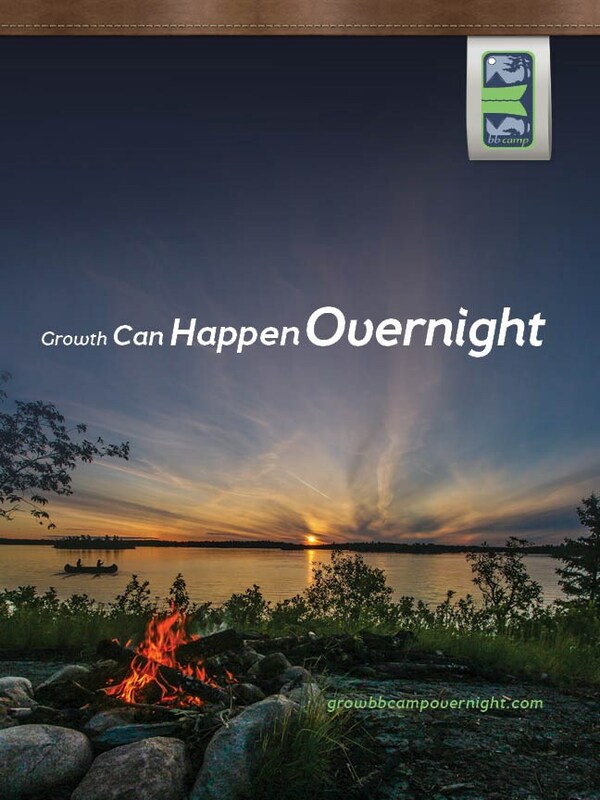 We are particularly proud of our creative concept - Growth Can Happen Overnight – as, it is an example of the lengths Sherpa will go to in order to understand our client and their needs. 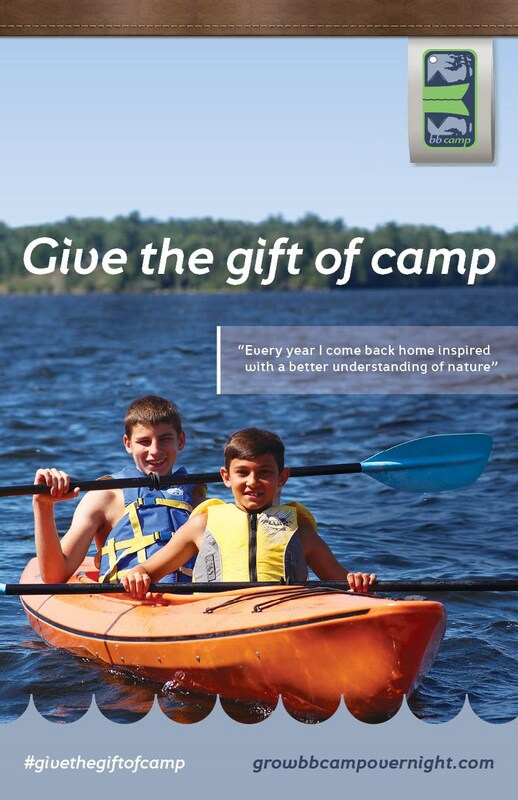 Believe it or not, Marty Fisher showed up to BB Camp on his Sea-Doo to meet with the Camp Director and Protexia to understand the BB Camp brand experience, its unique goals and values – and to get testimonials from BB Campers about why they love the camp experience. The common highlight was… you guessed it, the overnight out-tripping experience! 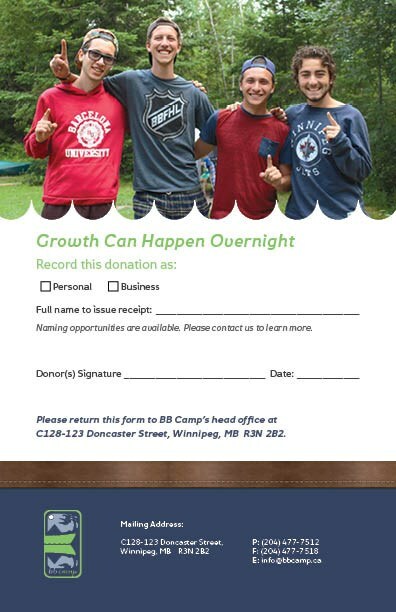 (www.growbbcampovernight.com) that includes a donation progress tracker, social sharing functionality and facilitates BB Camp’s online donation process. At Sherpa, we believe doing social-good should a fundamental be part of your business. We strive every day to be a steward of knowledge and insight for non-profits. 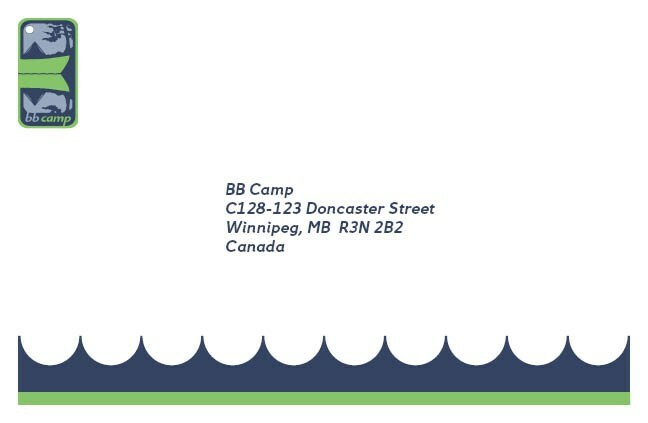 Please contact us if an organization close to you is in need of communications support! 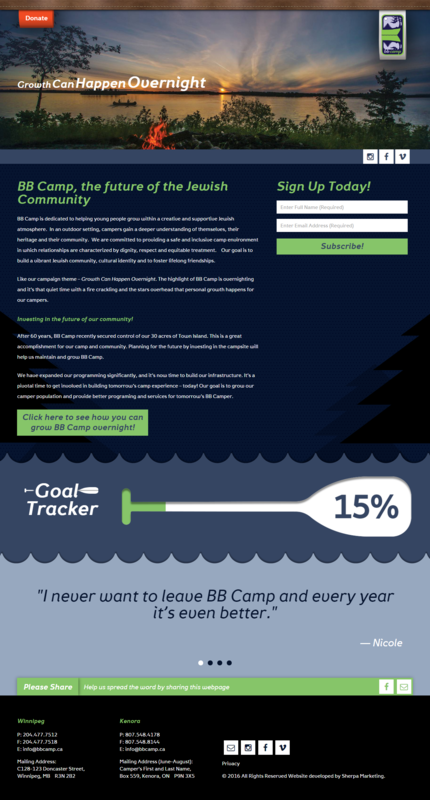 P.S - Stay Tuned - We will have a report on BB Camp’s fundraising progress in the coming months.